Soak the Sea vegetable salad in water for 10 mins. Slice the tofu into small cubes. Mix the seasoning in a small bowl. 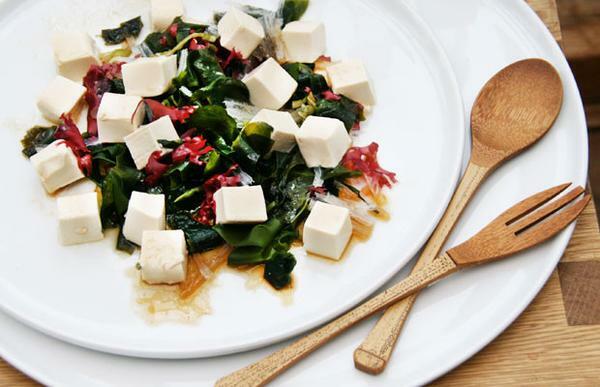 Drain the sea vegetables and mix with tofu and the dressing.